The new extension to Bambini Juniors Early Learning Centre was opened early in 2013. 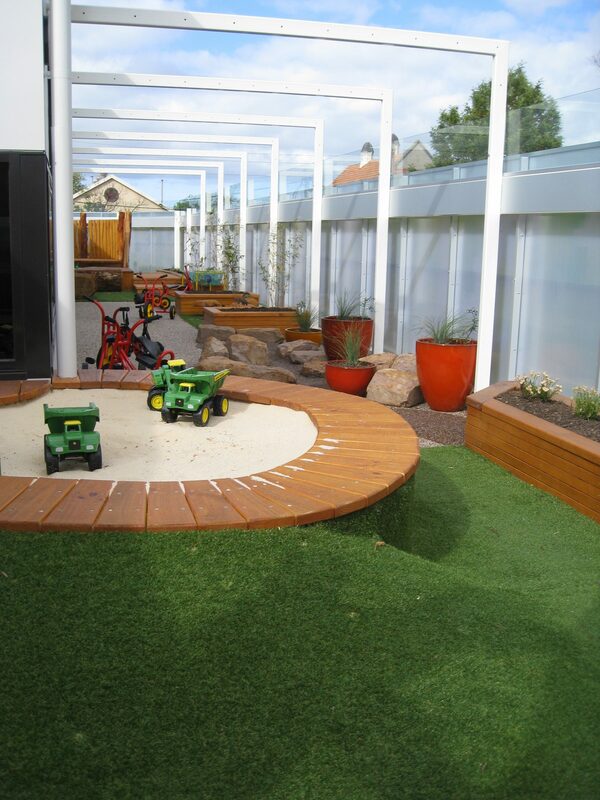 This new purpose-built facility includes two levels of play rooms and outdoor play environments including a rooftop. 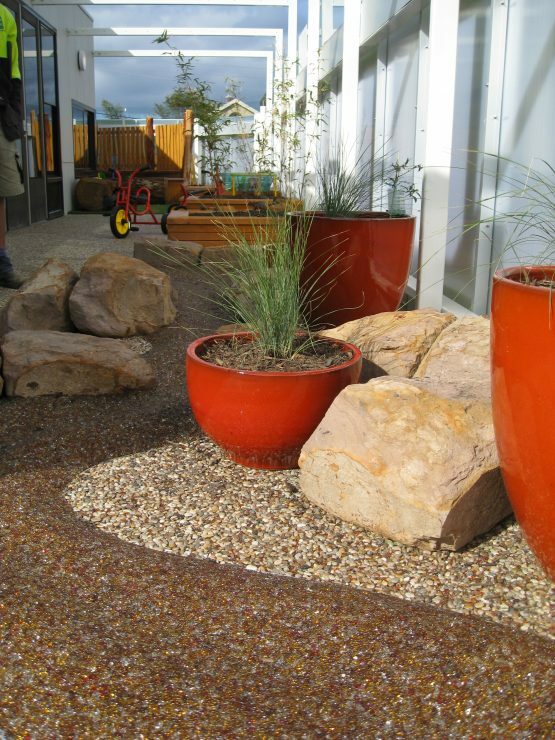 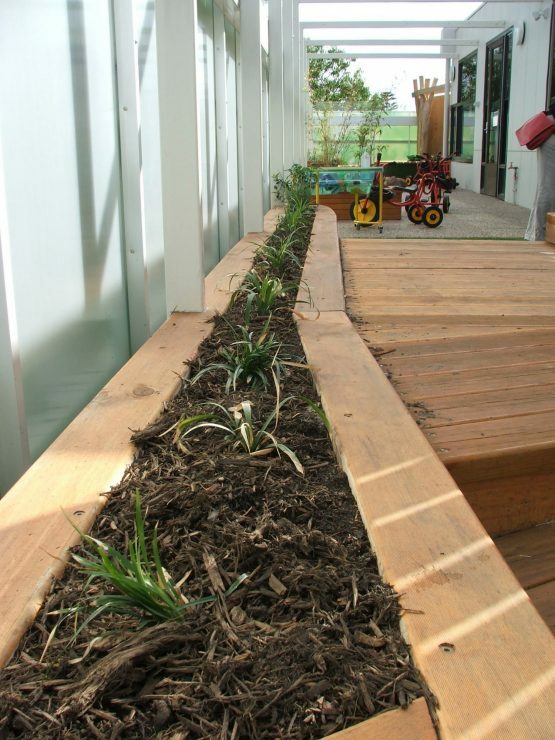 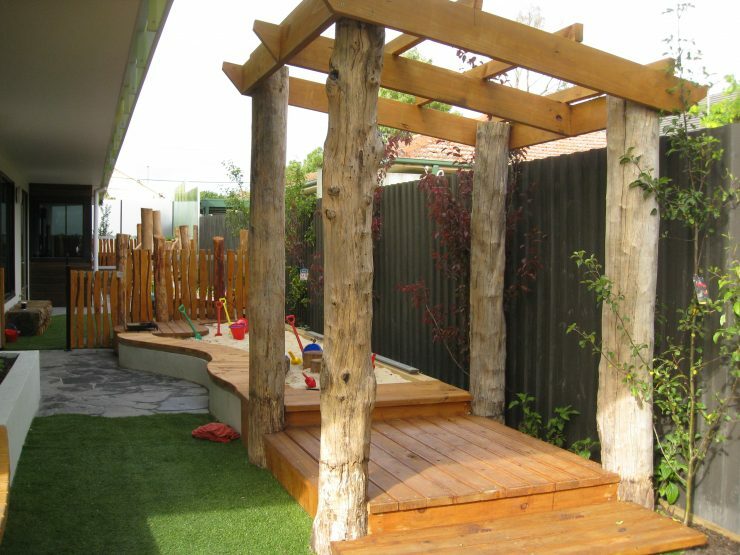 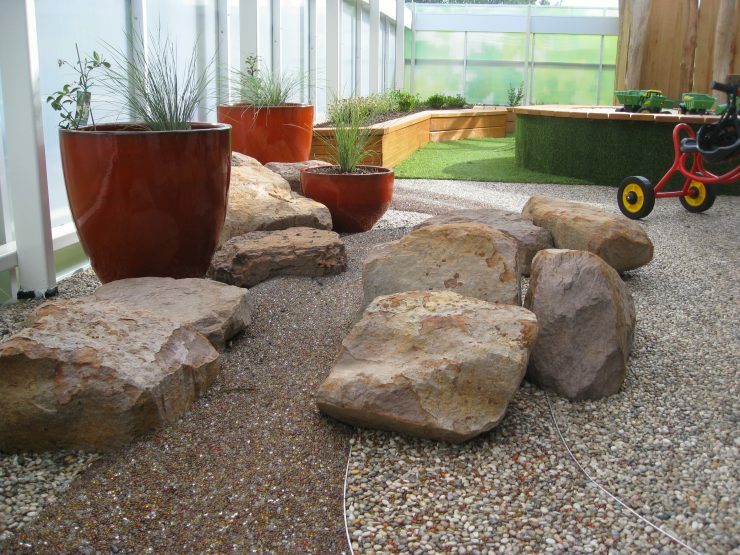 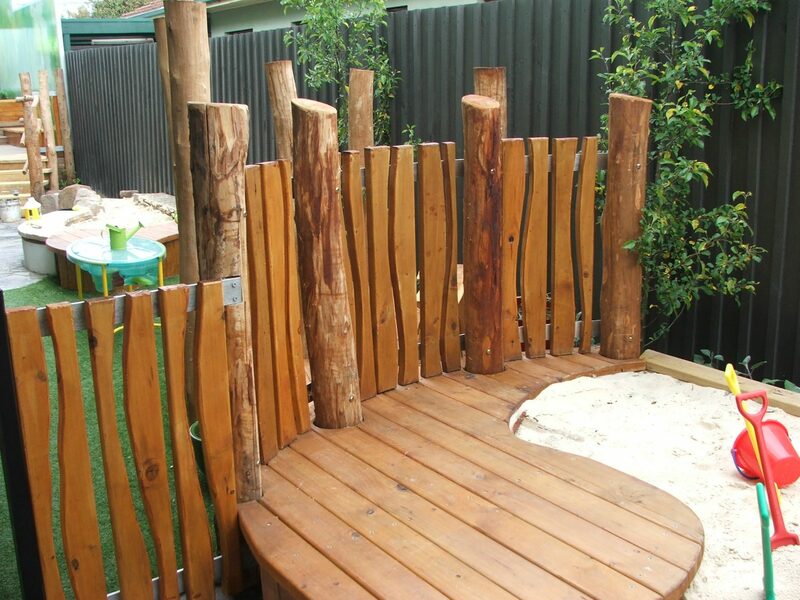 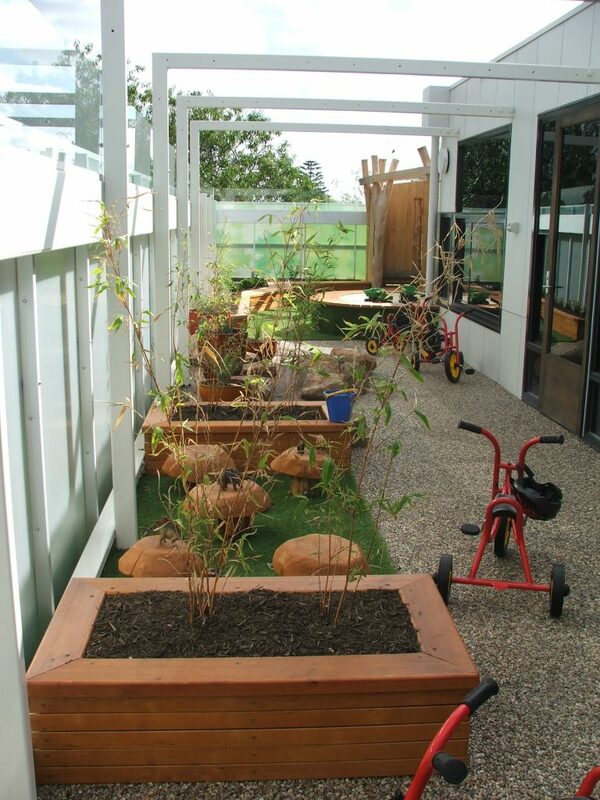 Jeavons Landscape Architects collaborated with Bambini staff to design these nature-based outdoor play areas that support the Centre’s early learning philosophy. 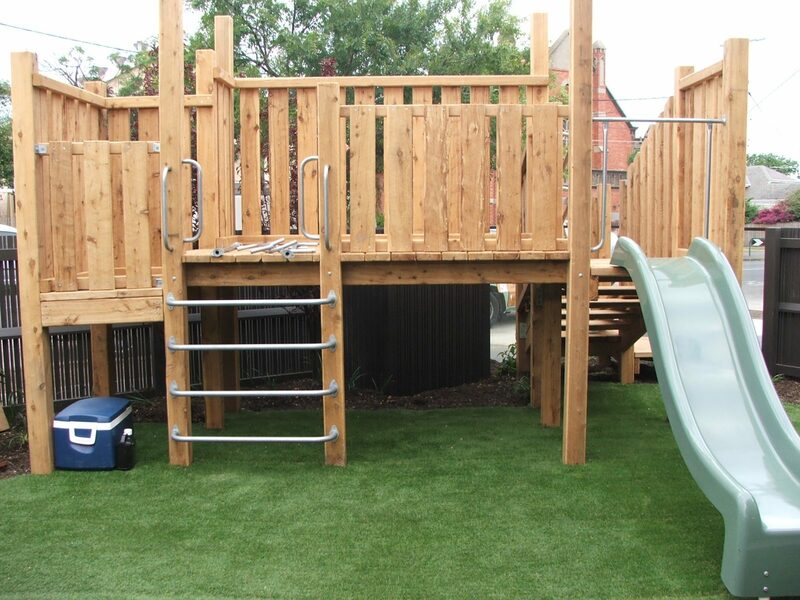 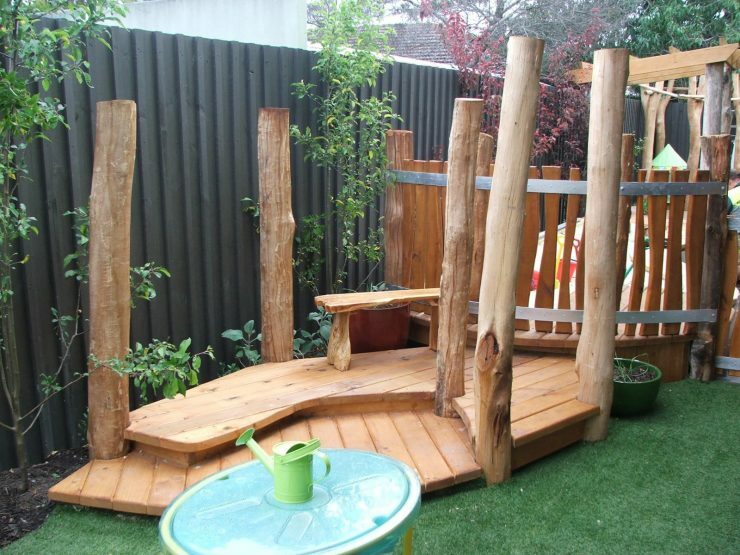 Jeavons created complex and engaging outdoor play areas for children aged between six months and five years. 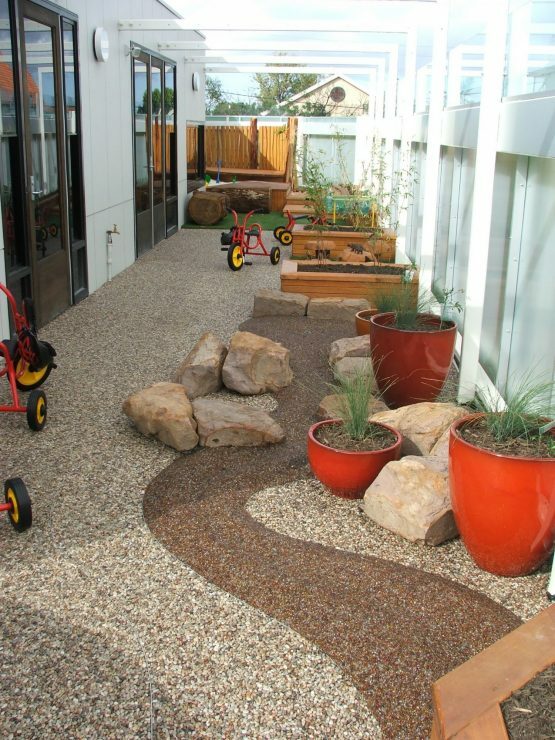 Despite the limitations of constructing a garden on a rooftop and on top of a slab in the case of the ground floor, the resulting environment includes spaces for climbing, sand play, sensory play, gardening and playing with loose materials. 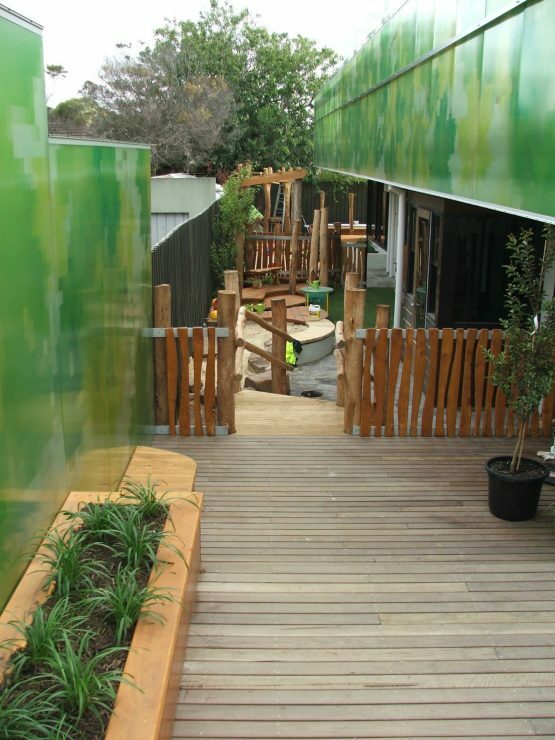 The construction of the building and outdoor area was managed by Haylen Group.